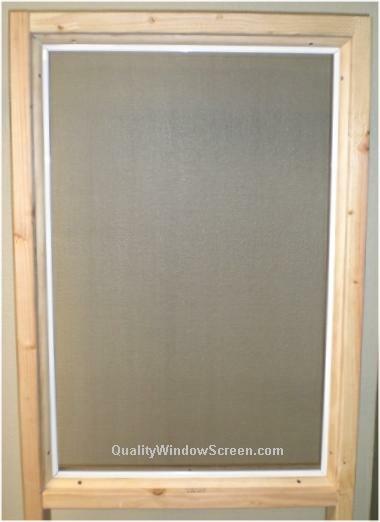 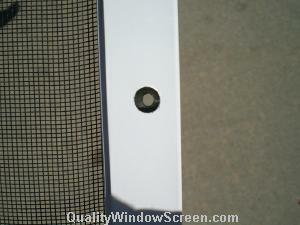 Attaching Our Porch & Patio Screen Panels With Quarter Round is Most Attractive. 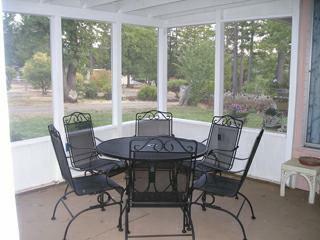 We start with a bare opening made from either 2x4 or 4x4 wood as many patios and porches are constructed. 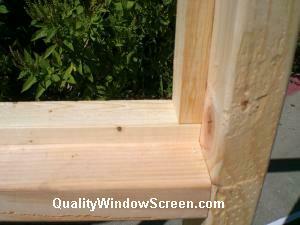 The 1"x2" Outside Stops are attached around all 4 sides flush with the outside edges. 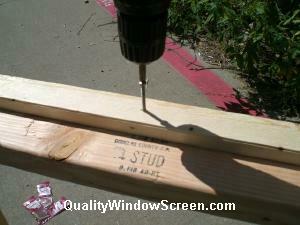 A #10 x 1-1/2" wood screw spaced about 12-18 inches should work for this step. 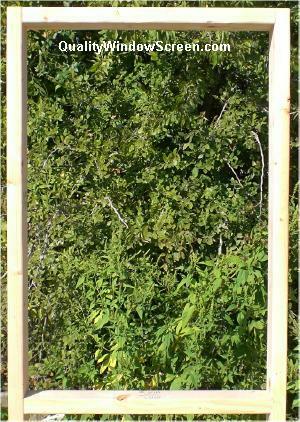 Your Outside Stops should look similar to this when you are finished with all 4 sides. 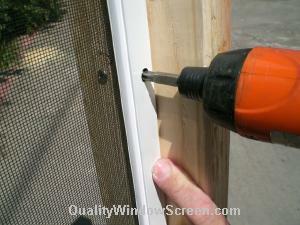 Drill Pilot Hole completely through screen frame for a #10 x 1" screw. 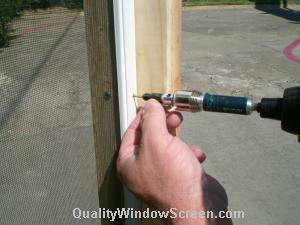 Drill Counter Sink Hole through The Outside of the screen frame slightly larger than screw head. 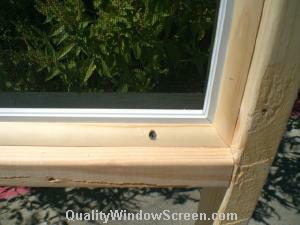 Your porch screen frame countersunk holes should look like this. 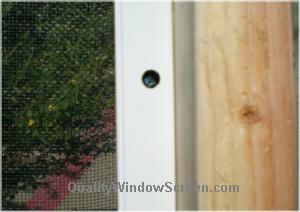 The outside hole is large enough for the screw head to pass through concealing the screw head inside the screen frame. 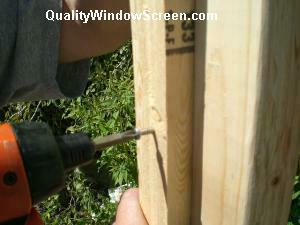 Countersink your screws into the frame so that the head is concealed within the frame as shown. 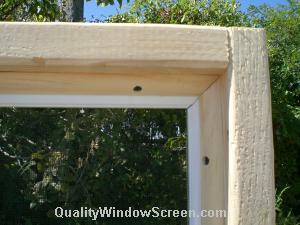 The Quarter Round is attached around all 4 sides. 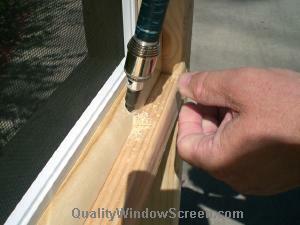 Drill Counter Sink Pilot Holes to in the Quarter Round Trim. 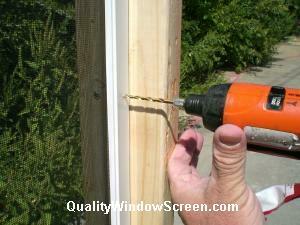 Locate screws near each corner and every 12"-18" as needed for size of patio screen. 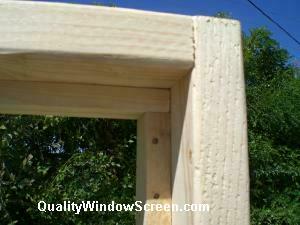 Your finished porch screen panels with quarter round molding should look like this when finished. 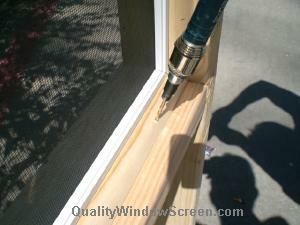 Quarter Round trim molding must be miter cut at corners for a nice looking finish.